1. The Yasin Malik-led Jammu Kashmir Liberation Front (JKLF) was banned on Friday for a series of violent acts and being in the forefront of separatist activities in the militancy-hit state since 1988. 2. PDP president Mehbooba Mufti Friday said ban on the Yasin Malik-led Jammu Kashmir Liberation Front was a "detrimental step" that will turn Kashmir into an open air prison. 3. Twenty-five assets linked to LeT chief Hafiz Sayed, four to Shabir Shah, and other immovable facilities in the name of over a dozen people linked to militant outfits will soon be attached or confiscated by investigative agencies as part of a crackdown against Jammu and Kashmir-based separatists and terrorist operatives. 4. 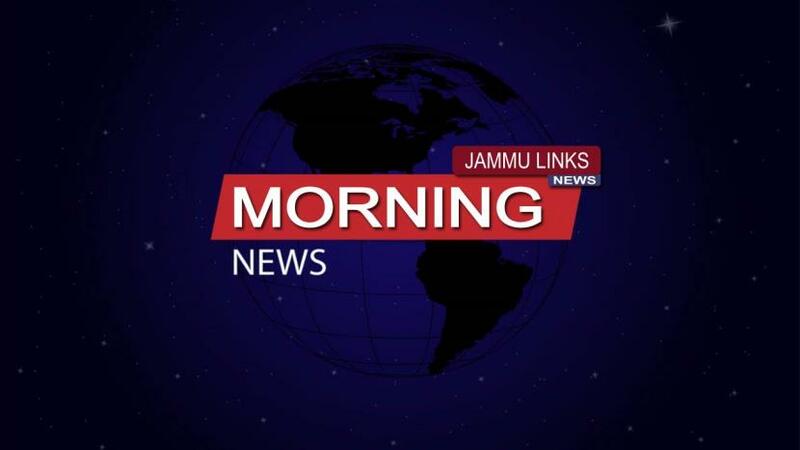 Seven candidates, including BJP's two sitting MPs Jitendra Singh and Jugal Kishore Sharma, filed their nomination papers in three Lok Sabha seats in Jammu and Kashmir Friday. 5. Six terrorists, including two of Pakistani origin who killed a 12-year-old boy held hostage by them, were gunned down in separate encounters with security forces on Friday in Bandipora and Shopian districts of Jammu and Kashmir, taking the number of ultras killed since Thursday to eight. 6. Pakistani troops on Friday resorted to fresh mortar shelling along the Line of Control in Jammu and Kashmir's Poonch district, while two Army soldiers were injured in overnight shelling from across the border in Jammu and Rajouri districts. 7. Prime Minister Narendra Modi sent his greetings to Imran Khan on the eve of Pakistan National Day on Friday, delivering a message of peace and calling upon people in the sub-continent to work together "in an atmosphere free of terror and violence". 8. Jaish-e-Mohammed (JeM) terrorist Sajjad Khan, a close aide of Pulwama attack mastermind Mudasir Khan was arrested by the police in Delhi. 9. The Enforcement Directorate has levied a penalty of Rs 14.40 lakh and ordered confiscation of nearly Rs 6.8 lakh in connection with a FEMA case against Jammu and Kashmir-based separatist Syed Ali Shah Geelani. 10. National Conference president Farooq Abdullah on Friday led the campaigning of joint Congress-NC candidates and said the alliance was aimed to keep India secular and "save" it from divisive politics. 11. Delhi Police briefly detained Kashmiri human rights activist Mohammed Ahsan Untoo when he was about to enter the Pakistan High Commission on Friday. 12. Indian authorities believe the case of fugitive businessman Vijay Mallya could serve as a template for ongoing efforts to extradite diamantaire Nirav Modi, who was arrested in London on Tuesday. 13. The Karnataka Transport Department on Friday suspended the licence of online cab aggregator Ola for six months in Bengaluru for running its bike taxis while possessing a licence for only four-wheelers. 14. Net employment generation in the formal sector touched a 17-month high of 8.96 lakh in January, according to the latest EPFO payroll data.